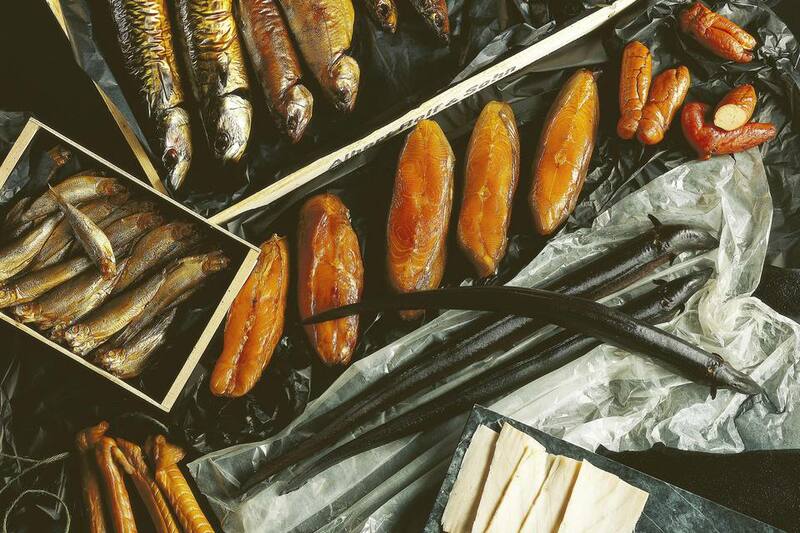 The modern method of smoking foods has evolved from a process of preserving. Long before refrigerators and chemical preservatives, smoke was used to extend the shelf life of food, particularly meat. Nowadays smoking—as it relates to barbecue—is about taste and texture, not so much making food last longer. Smoking adds flavor, it tenderizes, and it turns some of the worst cuts of meat into a wonderful meal. When we consider smoked meat we may initially think of smoked ham, bacon, or fish. But in the world of traditional barbecue, whether it is Texas or North Carolina, smoking means something else. 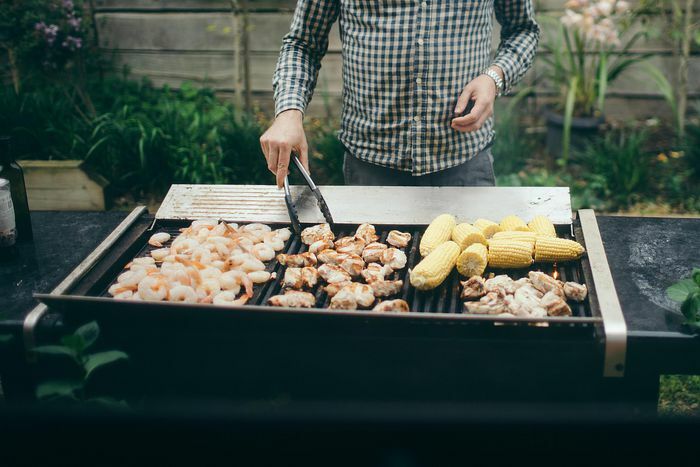 In barbecue, smoking is cooking food "low and slow," requires a special piece of equipment (or a charcoal grill set up a special way), and takes anywhere from 1 hour to up to 20 plus hours. Smoking is far more art than science, involves a lot of time and patience, and is much different than simply placing a slab of meat on the grill. Put simply, when it comes to supplies and equipment, to smoke food you need a container to hold in the smoke, a source of smoke, and the food to smoke. A smoker can be anything from a hole in the ground to a $20,000 smoker and the fuel can range from electricity to hardwood. Which type of smoker you buy will depend on a few factors: the space you have, the fuel you'd like to use, the amount of effort you want to put into it, and your budget. Smokers can range in size from a small drum smoker to a large box smoker, and so the amount of food each model can hold will vary Once you know how much your smoker can handle, then you can move on to looking at what type of fuel the smoker requires. Some smoking aficionados will say hardwoods such as hickory, oak or apple are the only way to go, but smoker fuel can also be charcoal, wood pellets, propane, or electricity. Smokers that use charcoal are often the least expensive while electric smokers that heat up the wood are the most hands-free. Choose the type of fuel you think best suits you, but keep in mind if you don't use hardwood, your smoker may not impart a satisfying smokey taste to the food. If the signature smokey taste is the most important aspect of smoking meat, then you need to choose a smoker that uses hardwood. Freshly cut hardwood is the best as half of its weight is water and therefore will produce a nice, moist steam that will help flavor the meat. Although dried hardwood has only 5 percent water, it still contains a lot of sugars and carbohydrates which impart a smokey taste. The species of wood, as well as where it is grown, will have a direct effect on the food's flavor. Hickory, for example, has a very smokey taste reminiscent of bacon, while maple wood is sweeter and milder. If using hardwood, it is important to soak the wood in water for about an hour before using—wet wood will last for hours while fresh wood can burn away in 20 minutes. If you are using wood chips, after soaking them, place them in an aluminum foil pouch and puncture with several holes. This will make them smoke for several hours. What type of meat to smoke is purely a matter of taste. The most popular meats are ribs, brisket, and pork shoulder (usually to make pulled pork). But don't limit yourself to these—you can also smoke prime rib, leg of lamb, or lamb shoulder—as well as whole poultry and fish, and even cheese and nuts. The process of smoking has grown around tough cuts of meat that traditionally don't turn out well when cooked by any other method, like brisket, which is not very easy to eat unless you cook it very slow at a low temperature. Smoking requires good temperature control. Meat smoking is best in the range of 200 to 220 degrees Fahrenheit. To be safe, most meats need to be cooked to an internal temperature of 145 degrees and poultry to 165 degrees. However, to get real tender barbecue you want a higher final temperature, say around 180 degrees. Basically, smoking is a long process of overcooking tough meats to get a tender and flavorful meal. It is best to have two accurate thermometers for smoking, one inside the smoker in the area where the meat sits to tell you the smoker temperature, and one meat thermometer placed in the meat to tell you the internal temperature of what you are smoking. There are two reasons to keep the temperature low: One is to give the smoke enough time to sink into the meat, and the other is to naturally tenderize the meat. Slow cooking gives the natural connective fibers in meat time to break down, become tender, and change into basic sugars. Collagen, the tough connective tissues in meat (think gristle), break down into several types of sugar when cooked slowly. This gives the meat a sweet flavor. Another basic rule of smoking is to place the meat in the smoker so that it is surrounded by smoke. You want a good, thick stream of smoke around the meat at all times to give the meat the kind of exposure needed to enhance the flavor. The smoke needs to be moving to prevent the smoke from turning the meat bitter because of a build-up of creosote. In addition to making sure your smoker is smoking, you also need to make sure it is steaming. Keeping the water pan full—provided in most smokers—is a crucial part of the smoking process. If you have a large smoker, you will probably need to refill the water pan a few times while smoking. Adding a marinade before cooking or a sauce while the meat is smoking will assist in keeping the meat moist, but this is completely up to you. To figure out how long you need to smoke your meat, you have to take three factors into consideration: the type of meat, the thickness of the meat, and the temperature of the smoker. On average, you will need 6 to 8 hours, but brisket can take up to 22 hours. When smoking, some cooks will follow the "3-2-1 rule." The first 3 hours the meat is left to smoke; then the meat is wrapped in aluminum foil for the next 2 hours so the interior of the meat cooks properly. For the last hour of cooking, the foil is removed to allow the outside of the meat to develop a crisp exterior. If you've cooked the meat correctly, you will see a pink ring (which is the nitric acid) around the meat just inside the dark outside layer.